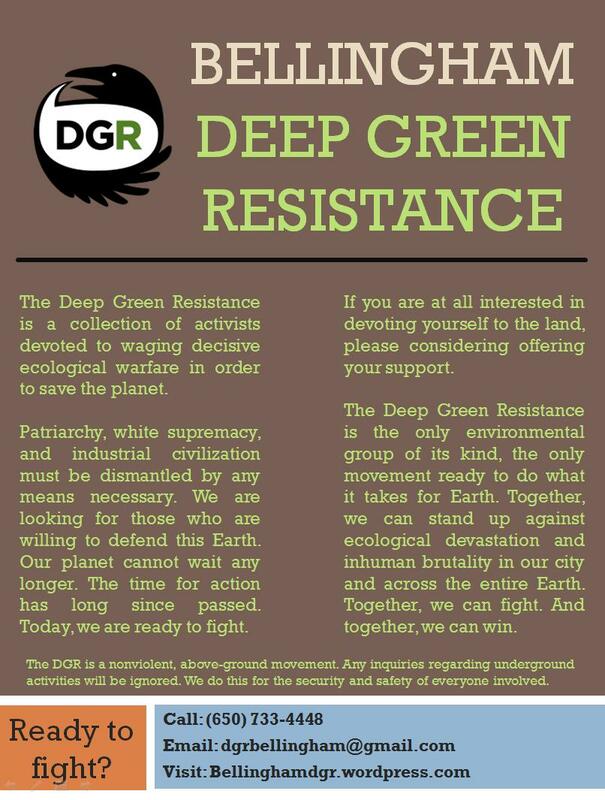 Visit the global Home » Culture of Resistance » Movement Building & Support archives for posts from all DGR sites. New poster going up around town soon! I receive the paycheck from my abortive, two-week-long career at Target this weekend, and will use a small portion of it to print posters to put up around town. Please let me know if you’d be interested in helping me out, either by suggesting spots or helping on the ground. Thank you very much! This entry was posted in Movement Building & Support on July 23, 2013 by bellingham.